A general election in the Democratic Republic of Congo that was set for December 23 has been postponed at the last minute, throwing into doubt the country’s hopes for its first democratic transition. Further delays or a contested vote could spark renewed conflict in the vast country, which is still emerging from the shadow of devastating wars. The election, originally scheduled for November 2016, has been repeatedly postponed, delaying President Joseph Kabila’s departure. The opposition accuses Kabila—who took over in 2001 after the assassination of his father, former President Laurent Kabila—of undermining the electoral calendar to hold on to power [PDF]. Kabila’s refusal to step down led to waves of protests and crackdowns that have resulted in scores of deaths as the country’s influential Roman Catholic hierarchy mediated negotiations over a political transition. Meanwhile, the decades-long conflict in eastern Congo, which has killed millions and led to one of the United Nations’ largest peacekeeping missions, continues to simmer. Under pressure from the United States, the European Union, and the United Nations, Kabila agreed to new elections. In August 2018, he confirmed he would not run for a third term. Still, concerns remain that the electoral process is deeply flawed and that the institutions overseeing it are ill-equipped and too politicized to ensure a fair vote. Emmanuel Ramazani Shadary. A former interior minister, Shadary is among the senior officials targeted by international sanctions for their role in violent crackdowns on protestors. Handpicked by Kabila as the candidate of the ruling People’s Party for Reconstruction and Democracy, he is trailing the top opposition candidate in polls. But some analysts worry that electoral authorities could hand Shadary a victory, and the opposition charges that his candidacy is a way for Kabila to continue to wield influence over the government. Martin Fayulu. Opposition groups initially agreed to unite behind Fayulu, a former ExxonMobil executive. Though polls put him far behind Shadary and other candidates, he has won the support of several popular opposition figures the government barred from running, including former rebel Jean-Pierre Bemba and Moise Katumbi, a former governor. Felix Tshisekedi. The opposition’s unity splintered when Tshisekedi, son of the late opposition leader Etienne Tshisekedi, withdrew his backing of Fayulu to run on his own. Leader of the DRC’s largest opposition party, the Union for Democracy and Social Progress, Tshisekedi has consistently led in the polls. A successful election would be a watershed for the DRC’s fragile democracy, which has yet to have a peaceful transfer of power between elected leaders since its independence in 1960. A vote widely viewed as illegitimate, however, could spell major trouble for the African giant. 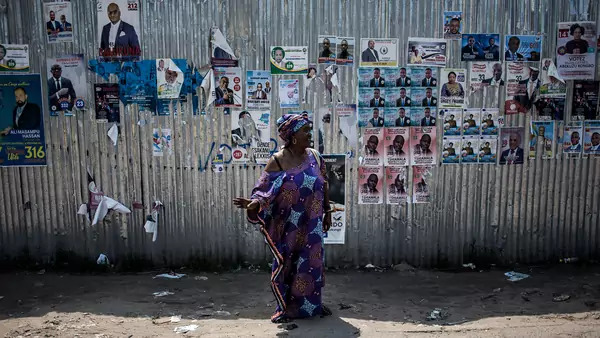 Analysts have warned of the potential for violence both during and after the vote, and some surveys suggest that nearly half of Congolese would not accept a Shadary win. Such an outcome could further weaken the state in eastern Congo or even spark renewed conflict there. Any large-scale unrest also has the potential to spill over into neighboring Burundi, Rwanda, and Uganda, which already host hundreds of thousands of Congolese refugees. Renewed conflict could also weaken economic growth, which has slowed in recent years, and threaten the global supply of cobalt, more than half of which comes from the DRC. Moreover, the government has struggled to deal with the country’s 4.5 million internally displaced people, as well as quell an ongoing Ebola outbreak, now the second largest in history. The DRC’s neighbors and Western countries will be watching to ensure Kabila keeps his pledge to step down, but there are limits to their influence. While Southern Africa’s regional bloc is set to monitor the vote, Kabila’s government has refused to allow observers from the EU and the United States. And the opposition has cried foul over electronic voting machines, which it says could be used to rig the election. New York University’s Congo Research Group explores the more than eighty companies [PDF] wholly or partially owned by the Kabila family. Foreign Affairs’ Stuart Reid spoke with Kabila just days ahead of the long-awaited December election. This CFR InfoGuide traces the decades-long conflict in eastern Congo. Vox looks at why the latest Ebola outbreak is so difficult to contain.